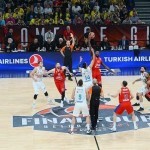 While the four EuroLeague Final Four 2018 teams (CSKA, Madrid, Žalgiris and Fenerbahce) are preparing for the Final 4 in Belgrade, the fans were voting for their favourite players in the season 2017-2018. It was and still is an interesting season, so there were a lot of great moments in the league. An interesting fact is that a lot of players had their best season yet, and for some of them, they are able to show more in Belgrade. Every the fan who is following the EuroLeague has one or more favourite players no matter if they will be the best or not. Choosing the favourite ones is a subjective opinion not just connected with basketball knowledge, but with what the person likes to see during the game. Someone is mesmerized with dunks, others with buzzer beater shots and how the players are effecting the game or their team play. My favourite basketball player that played in the EuroLeague was Dimitris Diamantidis and if he didn’t retire, he will be on my list. But unfortunately he did. Now, when I am choosing favourite guards, I am always comparing them with the one and only Diamantidis. So, for guards I have to go with the Greeks, and this was a hard decision because the advantage is given to Nick Calathes and Kostas Sloukas over Vassilis Spanoulis. Kill Bill is definitely a great combo guard and maybe a better player than the other two Greek guys mentioned, but this choice was made because Calathes and Sloukas more affected their teamplay in this season than the 2013 EuroLeague MVP. 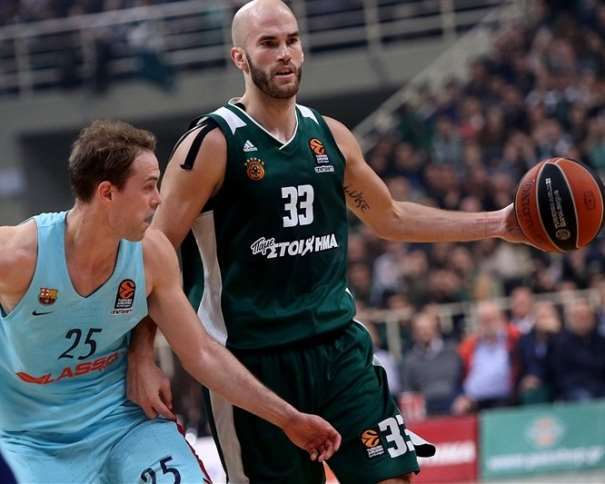 Nick Calathes definitely had his best season in the EuroLeague till now, and his excellent rol helped Panathinaikos in “to be or not to be” situations. That is why, in my opinion, he was the best point guard and all because he assisted a lot more than in other seasons. For example, in 2016-2017 he had 183 assists and in 2017-2018, 249. For me, that fact is enough for him to be on my list, because in my opinion, a point guard needs to create opportunities for his teammates and Calathes did that and some of his assists are maybe the best ones in this season. This season, the guard from Panathinaikos had more baskets than the last one (2016-2017, 322 points; 2017-2018, 451 points), and not just because he had more points but because he had a better shooting percentage this year. Also, Calathes had one of the most important roles in his team. The head coach Xavi Pascual trusted in his guard and the Greek player used his minutes in the best possible way. My favourite shooting guard is definitely Kostas Sloukas. Maybe because Željko Obradović put his trust in him and gave him liberty to do whatever he wants or maybe because he used this lifetime opportunity and made his teammates better. Even though he is only 28 years old, he already has 3 EuroLeague rings. In 2012 and 2013 he won his first two with Olympiacos and last year, with Fenerbahce, so there is definitely something that makes this guard special. Maybe he is not the best shooter in the league but Kostas knows to take the load in the important moments and to help as much as he can in order for his team to win. This guy can assist too and play good defense. Sloukas is always trailing the player he guards and not giving an easy opportunity for shooting. Again, maybe this Greek player is not the best shooting guard in the league but if you follow his game and his movements you are able to see the confidence he has on the court. And with him around, the team from Turkey is playing great. When choosing my favourite small forward I was looking for a guy that is a little different on the court than the typical player on that position. Many players crossed my mind but one name was always appearing: Will Clyburn from CSKA Moscow. In my opinion he is not the typical small forward but when I was looking his game I couldn’t find a better position for him. Clyburn looks like a guy everyone can block and in the @EuroLeague Playoffs 2018 against Khimki he proved me right. In the four games the players from Khimki blocked him 5 times. But he is on my list because he can jump and steal balls. 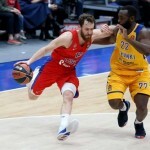 In this season, when CSKA was playing, it looked as if the American forward was always at the right place in the right time. As he can predict what will happen next and that is what makes him an untypical small forward. He was always covering CSKA shooters and always focused on the ball. Also, he is a fast player and even though there are centers and power forwards, Clyburn is ranked as the third player in defensive rebounds in the Regular Season and in the Playoffs he was the best defensive rebounder with 21 catches. The next name is chosen because of his similarity with Kevin Garnett. What NBA power forward was doing during his career for his team, James Gist is doing it for Panathinaikos: whatever it takes. And bonus points goes to him because Partizan put him on the EuroLeague market in the 2010-2011 season, when the club made it to the Top 16. But the most years this American power forward and small center has spent with Athen Greens. And he is doing an amazing job. He can dunk, steal, jump, shoot and Gist makes it all look easy. As everyone can do it, and that is not the case. Maybe I have noticed him by looking two things: dunks and blocks. One of the best blocks I saw was made by James Gist and the same thing when comparing dunks. When he does that it looks so powerful, so mesmerising. I know that most people won’t agree with me, but this is my list, and I am always saying “wow” when James Gist block someone. And, at last, but not the least, my favourite center from this EuroLeague season is Tornike Shengelia from Baskonia. I won’t say I am sorry they didn’t make it to the Final 4, because I was cheering for Fenerbahce. But it is too bad we won’t be able to see what he prepared next for this season in the most interesting European club competition. And he showed everyone how to fight for his team, especially when you play against, at least on paper, a much better opponent. 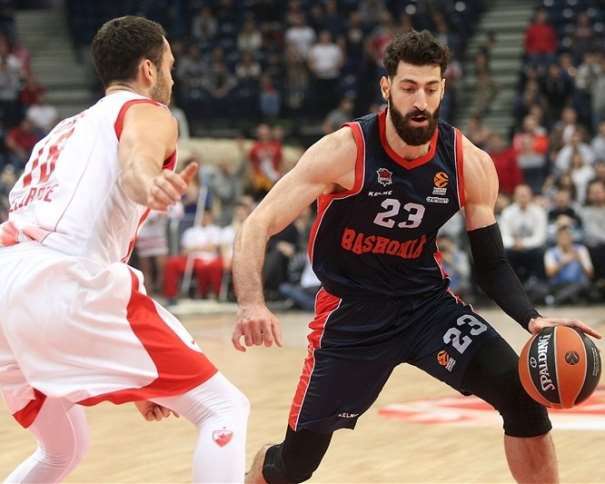 On my list, the guy from Georgia is, maybe, the most responsible player for the success of his team, and playing @EuroLeague Playoffs 2018 is definitely a success for Baskonia Vitoria. Shengelia had the best index rating (33) against CSKA Moscow, and the most points (24) against Barcelona, so everyone can see that he is a motivated player. One fact about him, that is also fascinating, is the ability to shoot free throws that is not the center’s best weapon on the court. But Tornike is not like most centers, and its 83.3% in Playoffs shows that. Now, when I chose my favourite 5, I have to mention that this list doesn’t mean they were the only players that, in my opinion, were great in 2017-2018 EuroLeague season. There were lots of great players, maybe even better, but I was watching their play and how they affected on their teammates play while choosing my favourite ones.